In 1988, Ron & Twany Dotzler – a biracial couple from West Omaha, decided to move their growing family to North Omaha – on the conviction that they wanted to be the change they wanted to see in their city. Over 30 years later – ABIDE has grown to be a radical movement of change – with dozens of “lighthouses” all over North Omaha, and a sprawling campus, to host countless activities and events for the community. 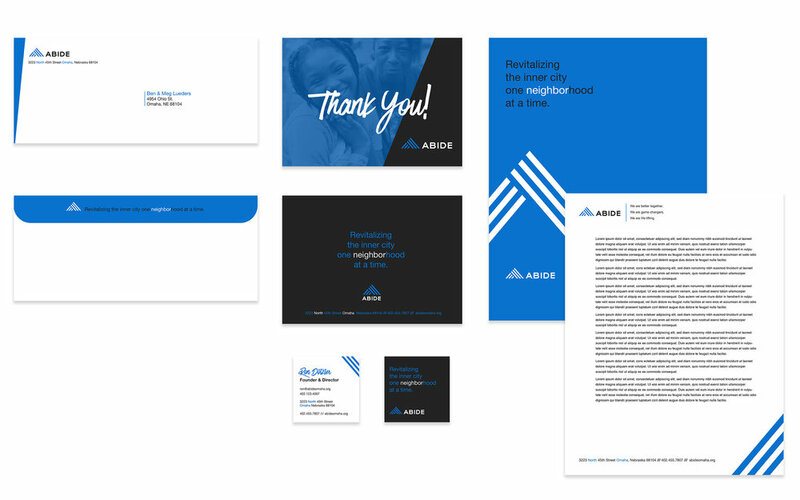 ABIDE has been a dream client of ours for many years – so we were honored when we were one of a few firms selected for an RFP for a complete rebranding. Although we don’t typically participate in requests for proposal – we had a good feeling about this one, and were delighted to learn we had been selected for the partnership, in early 2018. As we began to work alongside the team at Abide, it was easy to see that this big-hearted team was involved in a myriad of ministries, activities and programs – but with one theme rising to the top: The Lighthouse. We all agreed that the new brand needed to communicate clearly this all-important aspect of ABIDE. The concept of the Lighthouse was subconsciously communicated in their very name. The word “abide” literally means – to stay, to dwell... to not leave – and this community’s unwavering commitment to their neighborhood reflected that fundamental belief perfectly. We were honored to partner with cinematographer Jacob Ryan Willis for a couple new video pieces to accompany their new brand launch. 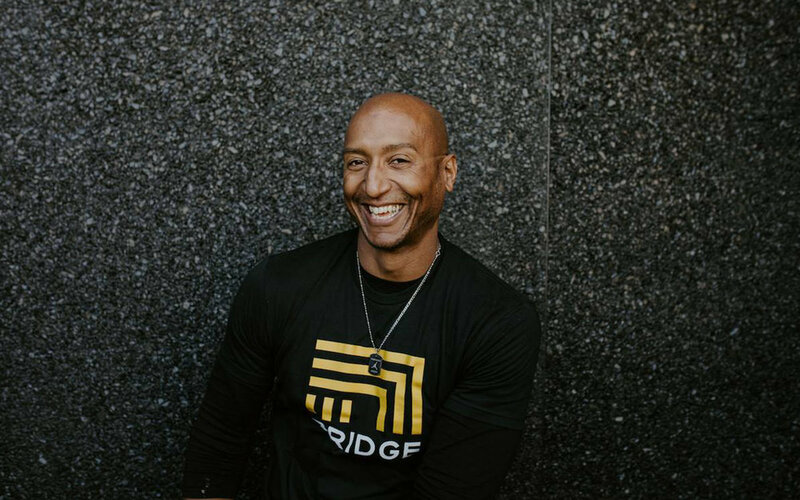 One of the unique challenges during the creation of the ABIDE brand – was the fact that their leaders had also started a church on their campus – and to many, the church and non-profit are almost interchangeable. Initially, we were tasked to unite both the church and non-profit under one name – but together we discovered early on that it would be important to keep these two entities distinct, yet visually related. 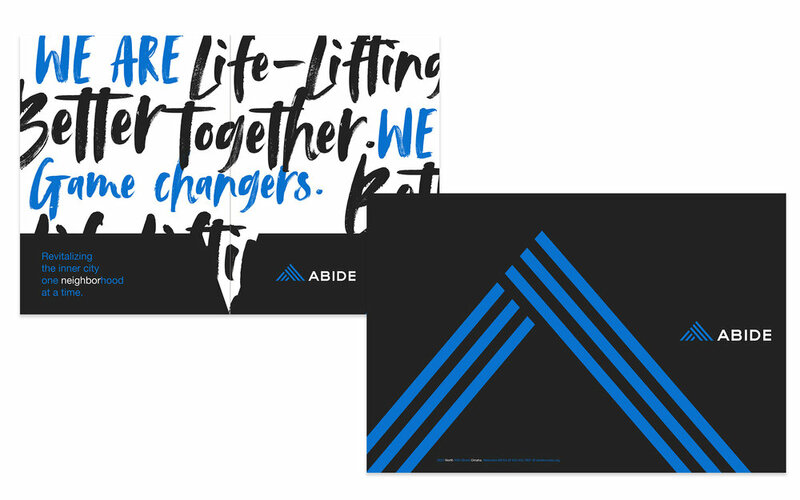 Thus the final Bridge Church logo builds off of the same visual theme of the ABIDE brand, but is completely autonomous. The annual “Bash” is definitely the high point of Abide’s calendar year. 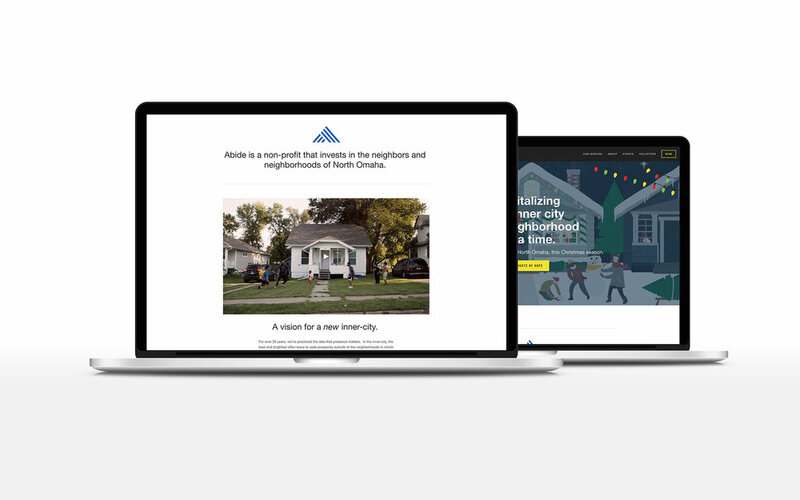 In early September all of their donors, volunteers, supporters, and even lighthouse leaders would all come together to celebrate the change that Abide has been seeing in North Omaha. This was a particularly special event for us – as the Bash was also where we would be revealing their new brand to a crowded ballroom full of hundreds of Omaha’s most influential people. This year’s theme was “Be Different” – highlighting how unusual it might be to leave comfort and affluence to be a lighthouse in a troubled neighborhood.